Kalypso diving center Crete, scuba diving school Rethymno, snorkeling, PADI dive resort and dive center crete - Kalypso Dive Center & School Plakias, Rethymno, Crete. Personal instructor for every participant, so you always feel safe! A fun and easy activity for all the family! Experienced diver or looking for a PADI certification? Divers with experience can explore our unique dive sites, take part in our night dives and more. 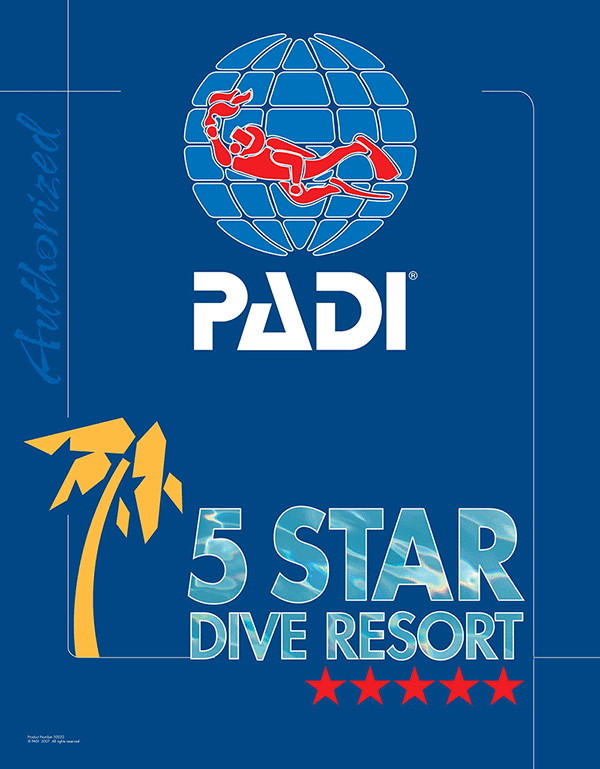 For beginner divers and for those who wish to improve their skills and acquire certification we offer a wide range of PADI courses. 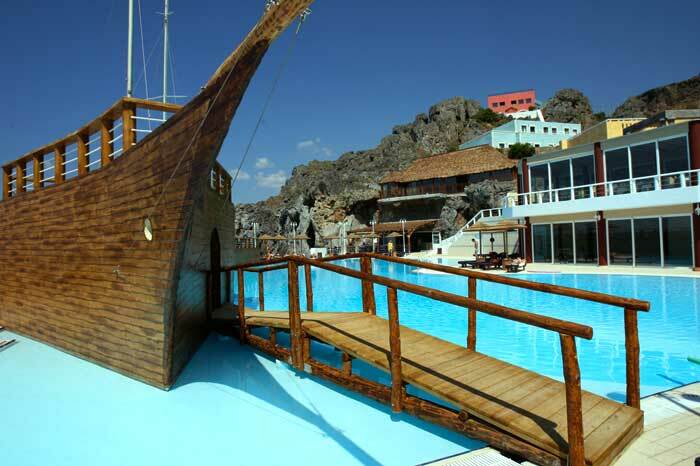 Come and visit the Cretan Paradise, the spectacular and famous Pirate's Fjord! The Kalypso Cretan Village Resort & Spa, 4 star hotel offers high-end services and beautiful facilities! Our dive sites offer encounters with colorful marine life, including groupers, octopuses, turtles, dentex fish, lion fish and the occasional sting ray! Kalypso Dive Center is set in the heart of the Pirate's Fjord, maybe the best beach in Plakias and the Prefecture of Rethymnon. 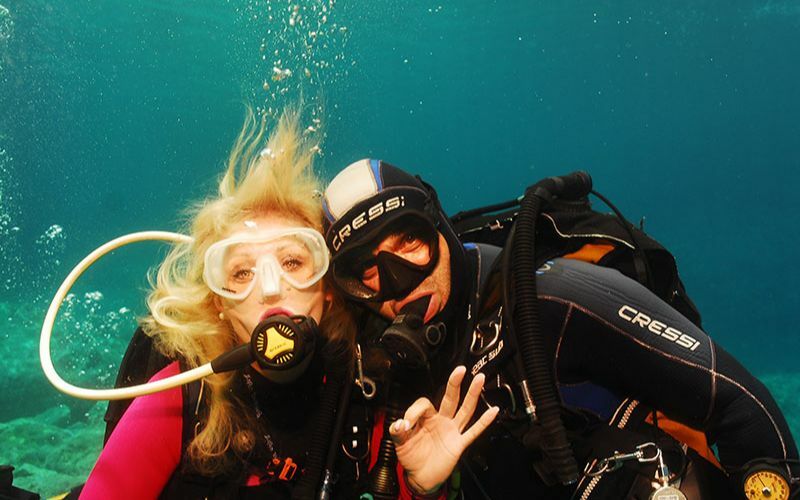 "Had a brilliant discover scuba dive experience with my 14 year old son. One to one tuition, felt safe and fun at all times. The setting was incredible - if the sun is shining well worth rest of the family coming for the pool and facilities. " Kalypso Dive Center was established in 1998 by Vasilis Vogiatzis. We have since built an exceptional team of Instructors and Divemasters. Our daily excursions start with the pickup and transport from your hotel or from a pickup point. Our service covers all areas of the Prefecture of Rethymnon. 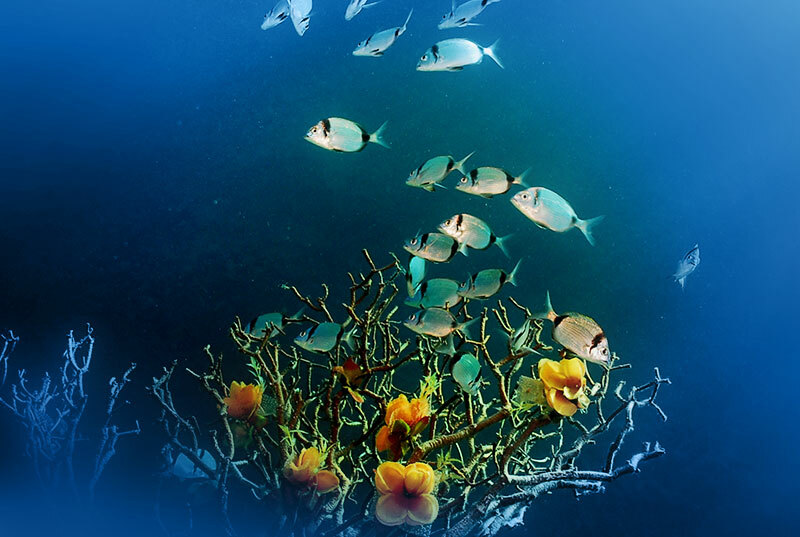 We offer professional photos of our divers, guests and underwater life for more than 10 years. You can take these lasting memories with you on a USB stick. At the end of the day, just before leave and during our final meeting you will receive a memory certificate from your "journey" with Kalypso Dive Center. Carefully selected, multilingual professional staff - we speak more than 10 languages - will make sure you have safe and enjoyable dives.